Today I did something I have never done before. I left an anonymous post it with a note on it in the bathroom. It says “You are beautiful.” I am hoping to life someones spirits and make them feel good! I did it in support of Operation Beautiful. 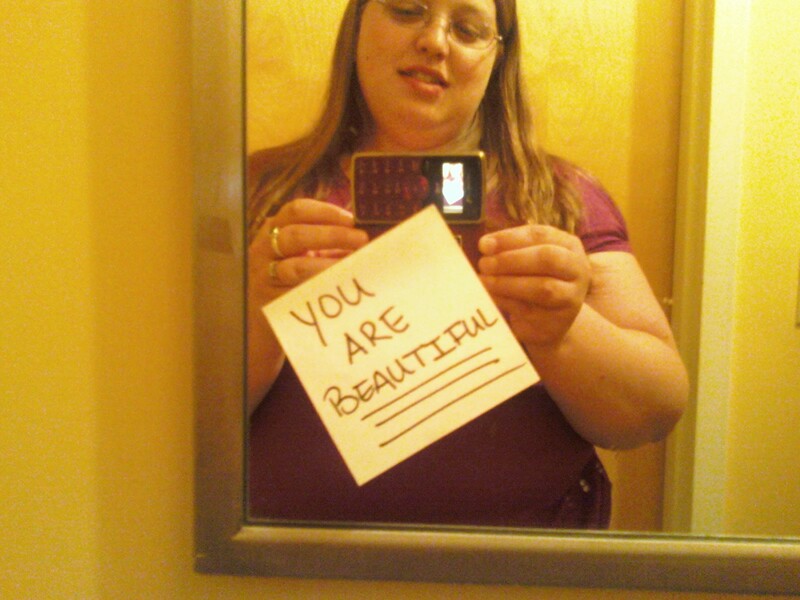 Operation Beautiful is something Caitlin over at Healthy Tipping Point started. Don’t compare your body to others. Appreciate your body for what it can do. Never Fat Talk in front of your kids or friends.